Please, welcome our guest, Benjamin Martin. He brings us a great message to share. Benjamin Martin is a lieutenant with the Henrico County Division of Fire (Va) and an 11-year veteran of emergency services. 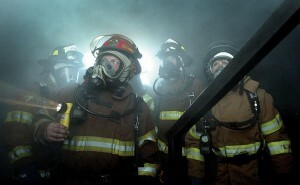 He is a graduate of and former Deputy Curriculum Chief with The Virginia Fire Officers Academy. He focuses on empowering aspiring leadership ahead of promotion. He is equally passionate about supporting and promoting resiliency in existing leadership. He has two bachelor’s degrees in Allied-Health (Pre-Med) and Fire Science and is currently working on a Master’s in Public Administration. Can I be honest? I think any time you discuss maintaining proper life and work balance it can quickly become intensely personal. But I also think this is one of the most important things we need to talk about. I’m hoping if I go first, then maybe you’ll keep your defenses lowered and allow this to soak in. If our personal lives are the exposures on our firegrounds, then it does nothing to have a great career (fire attack) if we let it all burn down around us. I’m a husband and a father who is spoiled by three incredible and beautiful ladies who love me very much. But my home life and work are out of balance and its causing conflict with my family…I’ve confused leaving a legacy at work with having impact. I’m a fire officer and I have to have hard talks with people at time who are in crappy situations (sometimes either personal or professional and a result of something they caused; other times its thru no fault of their own). Sometimes I get the message right and everyone benefits. Other times the situation is messy or rushed and perhaps my advice or opinion is just wrong for what’s happening. I read the situation wrong, missed the full context, simply lacked experience, or someone else with more influence made the situation worse with their advice. If I’m really being honest, you should know that I’m your typical Type A, motivated, passionately driven, stubborn, thinks he knows it all fireman (and I admittedly don’t—yes I can admit it). I consider myself to have more wins than losses, but I do try new things, and old things in different ways in the name of perfecting our “craft”. And from time to time I get “it” wrong. Those of us who care about the fire service tend to share the same values. We work and train hard to create and maintain a reputation in which we are credible, trustworthy, and competent to pass the job on. We hope we are “one of the good ones” (in whatever role or rank that might be). We want to be a person people will consider a positive role model, want to work with, and reach out to when help is needed. To achieve this we spend countless hours away from home in training classes and attending conferences. The very nature of the job will cause us to miss holidays, birthdays, and other important events in our family’s lives in the name of work. We’ll put in 25 years and hope to retire happy, healthy, and with people who love us. For all of this hard work maybe they will name a sports arena, fire conference, or courage award after us! Probably not, and unfortunately more likely some of us will inadvertently sacrifice our marriages, or strain relationships beyond repair with the ones that truly matter, like our children. We will miss lunches at schools with our kids, and reading books before bedtime. I think you are starting to see the picture I’m trying to paint. Can you picture someone like me that works in your department? Here’s a hint, if you’re reading this, try looking in the mirror. Chances are if you care about the fire service and your role in it, we have a lot in common including our professional values. We would probably get along really well, and have a lot of fun training and working together. So what’s the difference between legacy and impact, and which should we concern ourselves with? To understand my take on this, you need this example. The fire department that I work for incorporated EMS in the 1980’s (well before my time). This is arguably the largest culture change in the history of the fire service—no matter how you feel about it (sorry SLICERS, it can’t all be about you). The story goes, that the men and women that put our first ambulances in-service would show up in the morning with calls pending, and leave in the evening—with calls pending. When the ambulance shifts became 24 hours you can imagine there was very little sleep to be had for those individuals as well. This marked a significant increase in calls for service and obviously changed the fire service forever. Today’s parallel is shared by our brothers and sisters who maintain their assignments at core busy stations, where an opportunity for a solid three hour block of sleep is a treat, not the norm. Fast forward to today. We recently concluded a project at work that I worked on with a group for over 16 months. Most nights at the station I would retreat to the officer’s bunk around ten in the evening and then work another three to four hours to make sure I was meeting deadline. I did this while at a core busy station and I averaged two hours of sleep a night. I came home exhausted and if I wasn’t working part time I would often nap the next day and miss spending mornings with my kids. When I was awake, I acted like a robot just sitting there until I would snap at them and even my wife because I was so tired. Do you know this kind of tired? When I would talk, it was usually about work or I was on the phone with someone about work. Have you ever had to have a meeting during the summer that interrupted family outings, ruined a date night, or even prevented vacationing? I’m sure you’ve never received a phone call from people needing information while you are trying to put the children to bed or eat dinner. All in the name of meeting a deadline. “This is important to the department…. And in these last few words I see the problem. Would you like to know the names of these folks who sacrificed themselves to get that ambulance in-service? I can’t tell you. I can’t even tell you the exact year or firehouse where it occurred. It’s not that I don’t appreciate their sacrifice and professionalism. I love learning about the history of ours and the fire service. It’s just over thirty years later after the first EMS call, we run so many it just fades into the background. I’m responsible for knowing so much about so many different things and there simply isn’t enough time in the day to value or pay attention to everything. I’ve confused legacy with impact. Impact is the ability to literally collide ideas and values benefiting the here and now, with an eye towards the future. As leaders, we should all strive to have a positive impact at work. Legacy, is an opportunity to create a gift—an inheritance of our values about the world and how to navigate within it—that we can leave to the ones we love. The mistake leaders make is thinking the place to create this is at work. Avoid confusing the two and realizing neither. 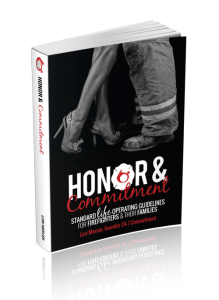 My passion for the fire service has blinded me to my shortcomings as a husband and father and this is creating a conflict within myself. My wife and little girls will remember the memories we make together. I hope to pass on my values and best attributes while raising them. Hopefully they will go on to have great impact in the world and create their own families and legacy. We will sit around one day and watch home videos and joke about how much more hair Daddy had back then. We won’t sit around and talk about the project that Daddy worked on for 16 months. And the reality is that in another 10 years, no one else in my organization will either. It will more than likely be redrafted and improved upon by the next “go-getters” of the organization. My role in the fire service is to have a positive impact at work—do a great job, have fun, and empower the next generation of firefighters and leaders. My legacy is always growing at home with my wife and children and ultimately is determined by their success. They should receive the bulk of my time, attention, and investment. We sink a ton of time into developing our teams and ourselves at work, but are we doing the same at home? 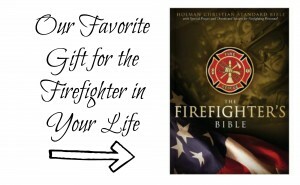 If you read a fire service book, do you read one on marriage or parenting? If you travel for a fire conference, do you attend a marriage retreat or take a family vacation? Like a see-saw, it is difficult to maintain balance, and we will have ups and downs in the process. Anytime I take the time to read something like this (and I appreciate it that you’ve made it this far), I always look to see if the author is offering anything usable moving forward. In the spirit of this, here’s what I’m currently doing and preaching. I talked with my wife, and told her this was on my mind. I asked for her help and support in making this change a priority. I also asked her to be patient and forgive me when old habits emerge. I was intentional about letting her know that the family is the priority, not work. I am learning to respectfully say no. It’s ridiculous how easy I volunteer for projects. I’m very curious and like problem solving, and people are well aware of how to pitch me an idea to get me on board. Spread this message to young folks as you see them along the way. A lot of senior people in my department gave me warnings and advice throughout my career. I hope they forgive me for not listening sooner, and are happy I’m starting to get it now. I’m not preaching don’t get involved, (it’s hypocritical given my lengthy committee involvements) but in doing so seek balance. Quite simply, if you feel overwhelmed chances are, you are either out of balance or quickly headed that way. To borrow from the fire service, you should maintain a manageable “span of control”: 3-7 life priorities with an optimal of 5. 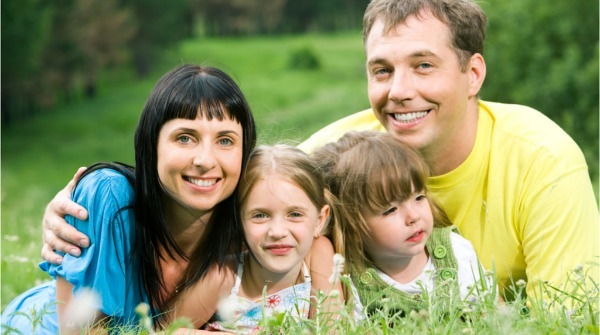 Your significant other and children should each occupy a priority. If you have children with multiple sports or clubs that split your family into different directions and make it hard to eat family meals together, then that occupies a third priority. If you are not currently in a relationship (either divorced or not dating), make sure you keep a slot reserved for meeting new folks. We were not made to be alone, and you shouldn’t let work prevent you from having a social life and finding people that add value and meaning to your life. So that leaves us potentially only 2-4 more available priorities. If you are a leader at work, then your team is a priority. If you have a rookie, guess what, his or her development needs to be an additional priority (and rightfully so). This is your largest chance to create lasting impact: provide a positive influence while they learn the culture of the fire service. Your own development, especially as leadership, is also a priority. Spend time reading, attending classes (in moderation), listening to leadership and training podcasts—making yourself a better leader benefits your team. So before we have added the first “special project” we have almost exceeded our span of control. Make sure you always have at least one slot available for emergencies such as a family death, mental health crisis, or illness such as cancer. It’s like having a rapid intervention team for our personal life. I’m not preaching don’t fall in love with the fire service. Just know that she can only love you but so much back, and is very fickle when she does. There is a season for everything, and being a young officer with young children is currently my struggle. I’ve worked over the last two years to honor current commitments but also to not take on any others that might distract from my goal at work, which is to create value and opportunity for the team everyday. This is an on-going process and I’m not perfect in it. I’ve set my sights on making a change where home is the priority, and I work hard while at work, but leave it there. I wish you the best success in your career, and hope to see and hear from you on the road to recovering balance between life and work. If there is anything I can do to help or offer advice, please feel free to contact me at mar91@henrico.us. Thank you to Mr. Martin for sharing this great article with us. We have a few programs and resources that we want to share with you. Check them out for more information. How to dress up your jeans and Tshirt. Volunteer firefighters all across the United States need better and updated disability benefits in case we get seriously and permanently injured at an authorized emergency response in our community.